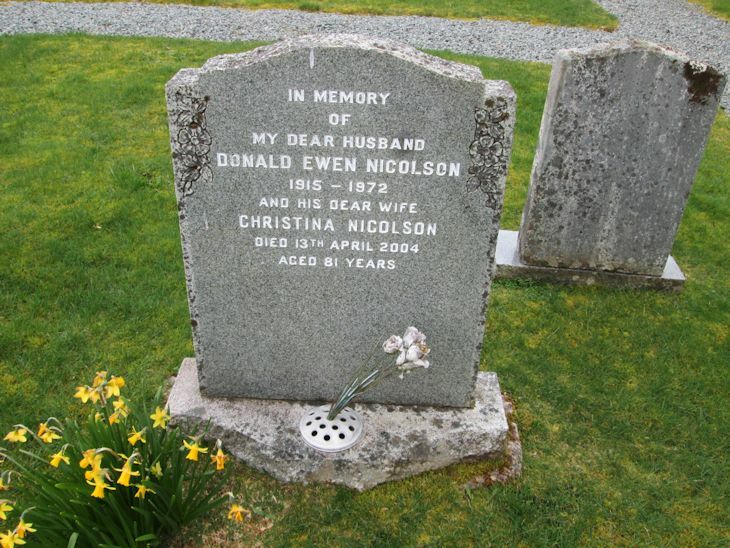 Skye Gravestones | Donald & Christina Nicolson. In memory/of/my dear husband/DONALD EWEN NICOLSON/1915-1972/and his dear wife/CHRISTINA NICOLSON/died 13th April 2004/aged 81 years. Picture Added on 13 May 2014.